The Great Linear ASOIAF Re-Read continues! Join us for the fourth installment of this planned 67 part series. Today we cover chapters Sansa I, Ned 3, Bran 3, Catelyn 4 & Ned 4 of A Game of Thrones. We delve into the finances of Westeros and Bina demands a Ledger of Ice and Fire. We also come up with several new crackpot Baratheon-centered theories as well as come to the realization that Robert Baratheon just may turn out to not be the awesomest dude who ever lived. Hosts: Greg (claudiusthefool), Nadia (Nadia), Amber (Amberrocks), Adam (drownedsnow), Calvin (KCenturion), Tanja (Scilens), & Bina (Bina007). For the listener playing along at home, the next installment will cover the rest of the August 298 chapters – Jon 3, Tyrion 3, Arya 2, Bran 4 & Ned 5. In the third part of our linear re-read the Fellowship of Vassals expands both in numbers and chapters covered. 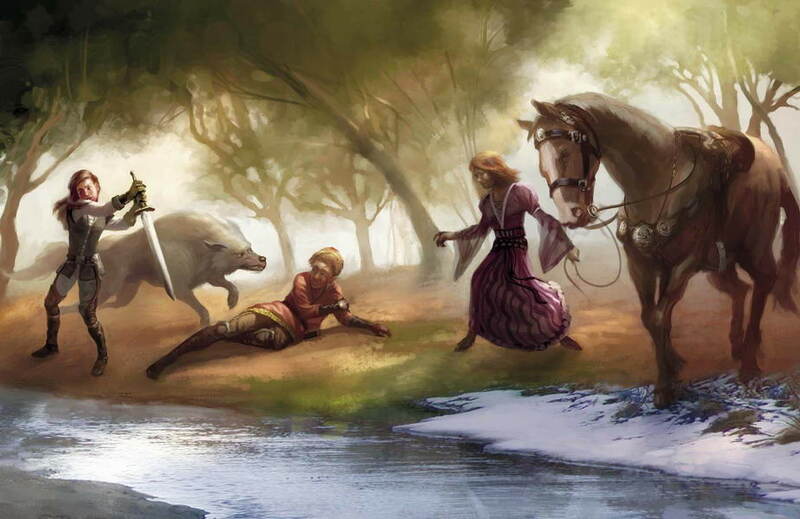 We go through the events of May and June 298 which sees an assassination attempt on Bran, Tyrion go north to the wall, Ned go south with Robert, and Dany visiting Vaes Dothrak. Naturally, the podcast contains spoilers for all works in the Song of Ice and Fire series as well as HBO’s Game of Thrones. Bran 2 (0m); Tyrion 1 (20m); Jon 2 (45m); Cat 3 (1hr); Tyrion 2 (1hr 17m); Dany 4 (1hr 30m); Ned (1hr 40m); Aftershow (2hr). For the listener playing along at home, the next instalment will cover the chapters in July 298 – Sansa 1 & Ned 3 – and the first half of August 298 – Bran 3, Cat 4 and Ned 4. Hosts: Adam (Drowned Snow), Amanda (Middlecyclone), Bina007, Brett (Whiteraven), Calvin (KCenturion), Kelvin (Brum Riverlander), Matt (Varley), Nadia, and Tanja (Scilens). Picture credit: HBO’s Game of Thrones. Music credit: Johnny Cash.